Are you struggling to make your MLM business take off? Are you looking for answers, or help on getting it to make profits for you? If so, you may find this blog post one of the most useful posts you’ve ever read. 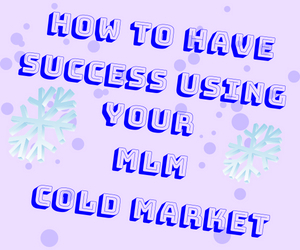 In today’s post, I am going to focus on how to have success using your MLM cold market. What you are going to learn can be the game changer for you and can really help propel your business to a new level. Keep in mind, it can only get you so far though. It will be good for getting 1 to 3 new people a week, or even up to 1 to 3 a day. But by continuing to follow the ideas in using your MLM cold market, you will eventually hit those leaders you need, and then take it to another new level. Most people when they join their first MLM opportunity, they are told to make a list of everyone they know. When they do this, they assume it will be much easier to sign up people they know (warm market) versus those that they do not know (cold market). What they mostly find, is they are rejected by those they know, and believe that if they can’t get people involved they know, they will not have success with a total stranger. This is actually the opposite of true. The truth is, you are going to most likely have much more success using your MLM cold market prospects than you will with the ones you know. Follow what you learn on this post, and then not only will you begin seeing some results, but you will also begin attracting your warm market to you as well. For many this may seem like a problem. But truth in reality is, it’s a blessing. Unlike your warm market, who knows your failures, your MLM cold market does not. Many of those you meet and prospect in your cold market will have the impression you are already successful. This will eliminate the prejudice your warm market has on you. An example of this would be my first signup I had in my own career. Months later after I had been signing up people like crazy, mostly from my MLM cold market, I explained to her she was the first signup I had. She was shocked, and told me that she assumed I was already successful because I called her. In her mind, only those who have had success, would be brave enough to call a stranger. Understand that this type of thinking is in the minds of many you will contact in your cold market. They will assume this is your trade, you have been doing it for a long time. This will give them a positive mindset of you instead of your warm market’s prejudice. One of the easiest ways to get MLM cold market prospects looking into your business, is through the use of MLM genealogy leads. Using these type of leads will put you on the phone with only people who have purchased MLM products and business opportunities before. 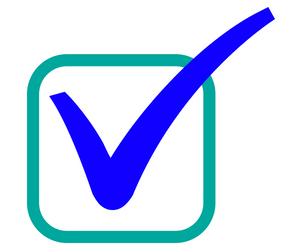 This will eliminate many of the objections you hear from people who do not know what MLM can really do for them. With MLM genealogy leads, one only needs to like what they see on the presentation, and they most likely join. They already most likely have a positive mindset about the industry, and increases the odds and speed in which you can get signups. Using social media is another way to locate possible MLM cold market prospects. By joining groups on Facebook and Linkedin, will put you in with people that have specific interests. You can look for groups that have either product interests or business interest in what you offer. This can be through joining MLM style groups for prospects who are open to the business aspect of it, and also groups where people who want the types of products you offer are. Begin commenting and socializing with these MLM cold market prospects in a non-pushy way, and look to build relationships with them. You will find the opportunity to mention your product or business if you learn to socialize and ask questions that can lead to them telling you about their wants and needs. Then there are the ways to reach MLM cold market through passive strategies. This is where you are doing activities in the hope of someone you do not know to reach out to you and ask for information. Content creation in all forms is best for this activity. Through the use of blogging, videos, articles, podcasts, webinars and social media posting, you can get people coming to you asking more about what you do and how to get it. The idea of content creation is to always create content that is valuable to the reader/listener. A big mistake people make is they create content that asks the reader to do them the favor. Instead, write content that serves the reader/listener. If they are getting value from what you are creating, there will be more and more MLM cold market prospects reaching out to you for help, products, or even to work directly in your team for the free coaching and experience they can get. Here are some tips that can help you get more from your MLM cold market, and help you to get through that beginner’s wall of getting your first results. #1. Say Less To More People – By saying less to more people, you are able to avoid negative thoughts in your prospect’s mind, and have time to reach more people. #2. Always Be In A Hurry – Like mentioned above, being in a hurry is crucial. It shows your MLM cold market prospect that you are busy. People want to work with busy people. It also helps prevent you from having to answer questions that can lead to no shows on your presentations. #3. Be Willing To Walk Away – Whenever you come across a person who plays hard to get, or is not the prospect you want to work with, be willing to walk away and let them go. It can either turn a person’s attitude into seeing you as more professional, or the opportunity is too good for you to worry with them, or just lead to you not having to deal with someone you would regret having later anyway. #4. Watch What You Post – Many people make the mistakes of posting things on social media that hurt their chances of getting signups. Never be one to fuss and complain about struggling, or someone who puts pics of questionable things. These things can turn people off when they are looking to join a good sponsor and mentor. #5. Stay Consistent – No matter what strategies you chose to work your MLM cold market with, you need to stay consistent with them. Make sure you call leads daily, or write your content on a regular basis. Consistency is the most important piece to every strategy becoming more and more powerful and productive. If you have had struggles working your warm market, you should see now why your MLM cold market can be the key to building your business. For me, I may of never had success if I were to only have warm market to work with. Once I was working with cold market genealogy leads, it opened my eyes to how I could stay consistent, and build a business. If you are not willing to embrace the telephone and direct prospecting, you will have a longer time hitting the results you want. But it is still possible through content creation, if you make lots of it. I would highly recommend using MLM cold market to get your first results coming in and building a team before introducing your warm market to the concept. By the success a person can have with their cold market, can interest their warm market to get involved as well. It worked for me this way, and I’ve seen it work for many others as well. More will have success through their MLM cold market than with their warm market. If this helped opened your eyes up to why you should use MLM cold market prospects, or helped you to understand how to have success using MLM cold market prospects, leave a comment below with your thoughts. Also, feel free to share this with your team if they are needing help with prospecting people who will actually signup with them. P.S. Want a more easy approach to getting MLM signups? Take a simple and free tour of how I am able to build a large team of affiliates in my own business, and even keep the customers and builders if you like what you see. 6 replies to "How To Have Success Using Your MLM Cold Market"
Consistency is always required to achieve success. Thank You for informative blog post-Jaye Carden. Thanks Sridhar! I am glad you came by! 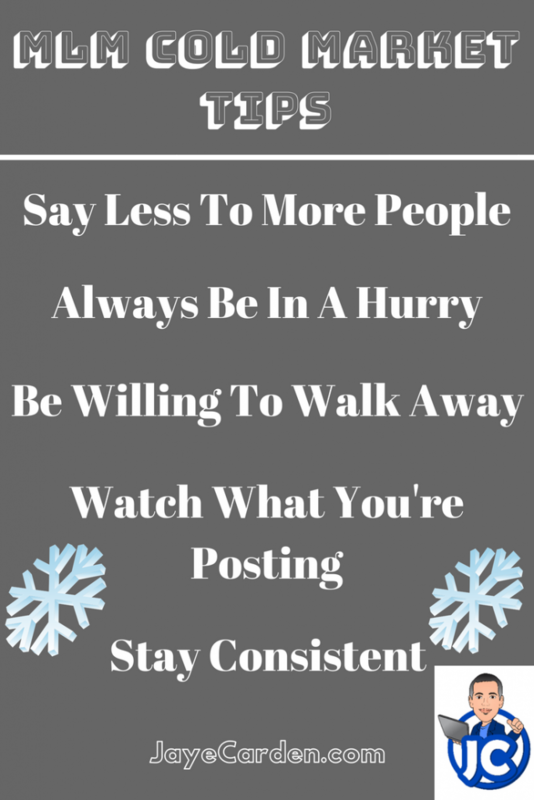 Great tips for the new person or even the season marketer….Have a great business day ! Thanks Mike, glad it helped! Another great tip from you. As for me, I never believe in inviting people close to me into my Network Marketing business. A lot of people I have know are having this same belief too. I honestly believe in inviting entirely new people to my business. Thank God, I know how to blog, I just set it up and start attracting people to it. You already mentioned social media sites like Facebook is a good place to attract people, this is a confirmed fact but too bad that a lot of people are doing things wrong, i wish they can come across this blog and read up how they can make they business adverts on social media sites a success. This is a very good and educative article. Thanks for sharing it. Thanks for the feedback Seun, I appreciate you visiting again!